On Feb. 5, 1994, white supremacist Byron De La Beckwith was convicted in the murder of African-American civil rights leader Medgar Evers, over 30 years after the crime occurred, history.com writes. Evers was gunned down in the driveway of his Jackson, Miss., home on June 12, 1963, while his wife, Myrlie, and the couple’s three small children were inside. Beckwith’s eventual conviction was due to Myrlie Evers’ tireless efforts over three decades to push officials to re-prosecute the case. Medgar Wiley Evers was born July 2, 1925, near Decatur, Miss., and served in the U.S. Army during World War II. After fighting for his country, he returned home to experience discrimination in the racially divided South, with its separate public facilities and services for blacks and whites. Evers graduated from Alcorn College in 1952 and began organizing local chapters of the NAACP (National Association for the Advancement of Colored People). In 1954, after being rejected for admission to then-segregated University of Mississippi Law School, he became part of an NAACP campaign to desegregate the school. Later that year, Evers was named the NAACP’s first field secretary in Mississippi. He moved with his family to Jackson and worked to dismantle segregation, leading peaceful rallies, economic boycotts and voter registration drives around the state. In 1962, he helped James Meredith become the first African American to attend the University of Mississippi, a watershed event in the civil rights movement. As a result of his work, Evers received numerous threats and several attempts were made on his life before he was murdered in 1963 at the age of 37. Beckwith, a fertilizer salesman and Ku Klux Klan member widely believed to be the killer, was prosecuted for murder in 1964. However, two all-white (and all-male) juries deadlocked and refused to convict him. A second trial held in the same year resulted in a hung jury. 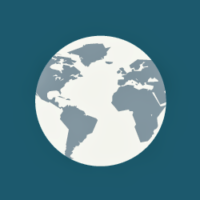 The matter was dropped when it appeared that a conviction would be impossible. However, Myrlie Evers, who later became the first woman to chair the NAACP, refused to give up, pressing authorities to re-open the case. In 1989, documents came to light showing that jurors in the case were illegally screened. 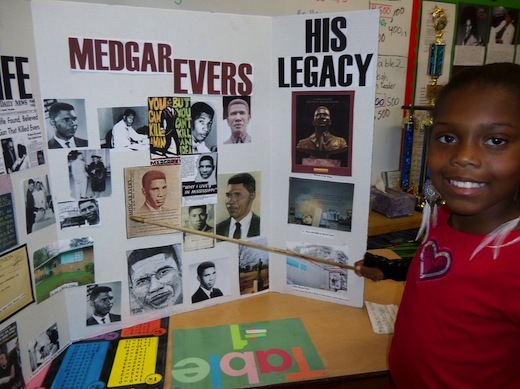 Photo: Today children learn about and keep alive the legacy of Medgar Evers and his important place in American history (Clotee Allochuku/CC/Flickr).